The Peace Corps Fund will honor and present grants to five New York City RPCVs who have spent their careers teaching in the city, celebrating a lifetime of service to others. The PeaceCorpsFund is moving fast towards our September special event to raise funds to support RPCV projects within the U.S. 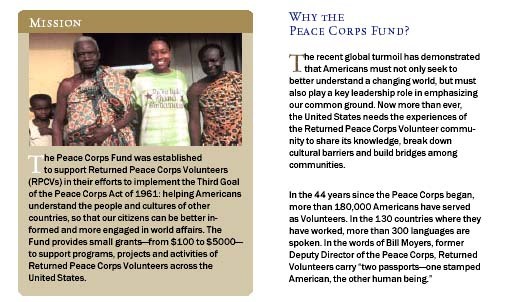 The PeaceCorpsFund is not a membership organization. 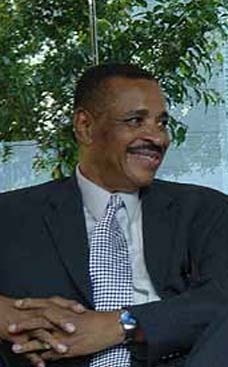 It has been established to help RPCVs to fund local projects to educate Americans about the world we knew as Volunteers. There is no paid staff, no full time office space, and all the work done for the PeaceCorpsFund is done by RPCVs volunteering their time as a Third Goal effort. Now you can help. I need you to do two things. 1) Donate an item for our auction. 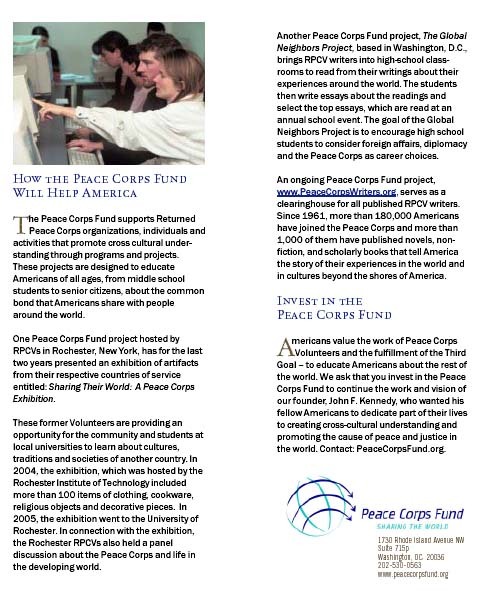 2) Send this message onto your RPCV friends and others who support the work of the Peace Corps. It is a wide range of items that you can donate. For example, a number of famous RPCV writers have sent me signed, first editions of their books. A Paris apartment has been donated so a couple or family can spend a week in Paris. We have a beautiful chess board sent by a RPCV from Krgyzstan, a rug from Romania, wines from NYC merchants. The list goes on and on. The event on September 29th is in NYC and tickets will be for sale next week. 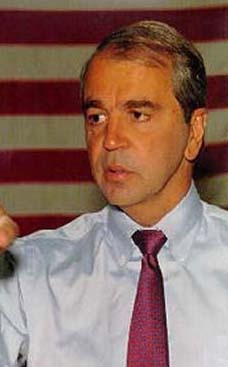 Go to our website: www.peacecorpsfund.org for more information. We will have food prepared by famous NY chefs that represent the countries where we served. We will have international music. We will honor and present grants to five New York City RPCVs who have spent their careers teaching in the city, celebrating a lifetime of service to others. Download the auction donation form here, fill it out, and email it back to Stacey Flanagan at SLFLANNY@aol.com. Call Jeff Susman at: 212.228.3128 or email him at: stormdenny@yahoo.com. Make sure you forward this email onto RPCVs you know. Thanks for all your help. Keep it going.